The Chennai based club has completed the signings of Marcus Tank and Charles from GDSC Alvarenga on a season long loan deal. Grupo Desportivo Santa Cruz de Alvarenga is a Portuguese club that competes in 2nd Division of Aveiro Football Association League System. Marcus Tank is a 24 Year old forward and is comfortable on either flanks and has played for SC Cornithians of Brazil in the past. Charles, who is 23 Years old, is an attacking midfielder and can also play on both the flanks. He has been part of Brazilian club, Fluminense in the past. 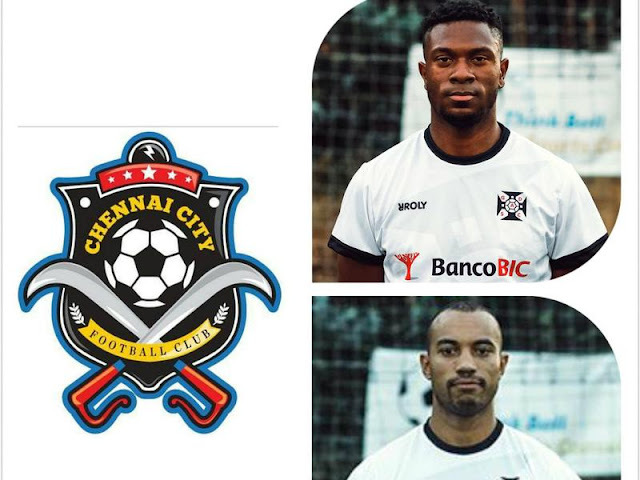 Chennai City owner Rohit Ramesh is excited about the signings and said "We expect these two Brazilians to bring flair and quality to the side. They will join the team soon and hopefully will have a few sessions with the squad before the start of the league. We know the time is less but they are professionals and expect them to gel well with the team." CCFC still have two vacant slots for froeign players, which includes an Asian Player, and are expected to announce it the coming days.